We are happy you are joining us for lessons! Our goal is to provide you with a positive, safe and fun learning experience from our highly qualified trainers, staff and horses. SaddleBack provides ASTM/SEI certified helmets, tack, safe lesson horses and professional riding instruction. We also have an assorted sizes of paddock boots for riders to borrow for their first few lessons (and can recommend where to purchase @ $35 for future lessons). Please refer to Contact page for physical address and directions. Beginner lessons are $45-private, $40-group if not signed up for one of our 13 week sessions. A Beginner Lesson package is available for $295 and includes 2 private lessons + 6 group lessons. Payment is due at time of lesson. SaddleBack accepts checks payable to "SaddleBack Equestrian" or cash. Credit card payments available for additional 3% charge. While recommended, SaddleBack does not require weekly lessons. Riders may lesson as often as their schedule or budget allows; however, group lessons are weekly lessons, and for riders looking to advance as a sport, SaddleBack recommends 1-2 lessons per week and offers 10% discounts if paid in advance monthly. SaddleBack offers lessons year-round, 7 days/week unless temperatures above 100 or below 32. 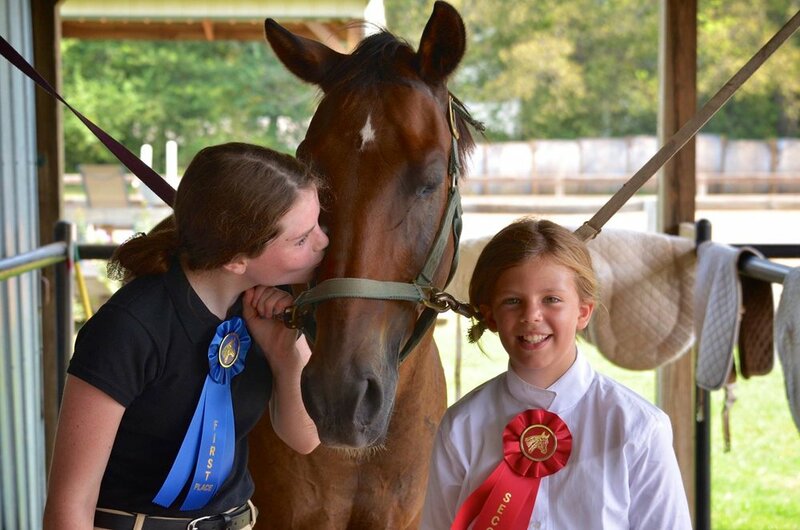 SaddleBack Equestrian trainers strive to accommodate your schedule. If a lesson is canceled due to weather, trainers will notify you by text or phone call in advance. If necessary for you to cancel a lesson, please let your instructor know ASAP. Lessons canceled with less than 12-hour notice will be billed the full lesson rate. Thank you for joining SaddleBack Equestrian for lessons. We look forward to seeing you!